My sole motivation to go to Vietnam was to eat as many fresh spring rolls as possible. I was reminded of that reason yesterday at a fancy cocktail party where they served some, but introduced them as summer rolls. Which is what they are only called elsewhere but not in Vietnam. I dare to say you will get blank looks when you order summer rolls there. Nevertheless they were actually pretty good, at least as far as Vietnamese food outside of Vietnam goes that you get at a cocktail party. Good enough to make me miss it, so I spent the evening eating more rolls than appropriate while trying to inauspiciously google cheap flights to Vietnam. Mind you, my November is fully booked travel wise so I decided to rather write a little story about Vietnam and since the memory of the wonderful fresh spring rolls is too painful, I thought I should rather make it about Halong Bay. 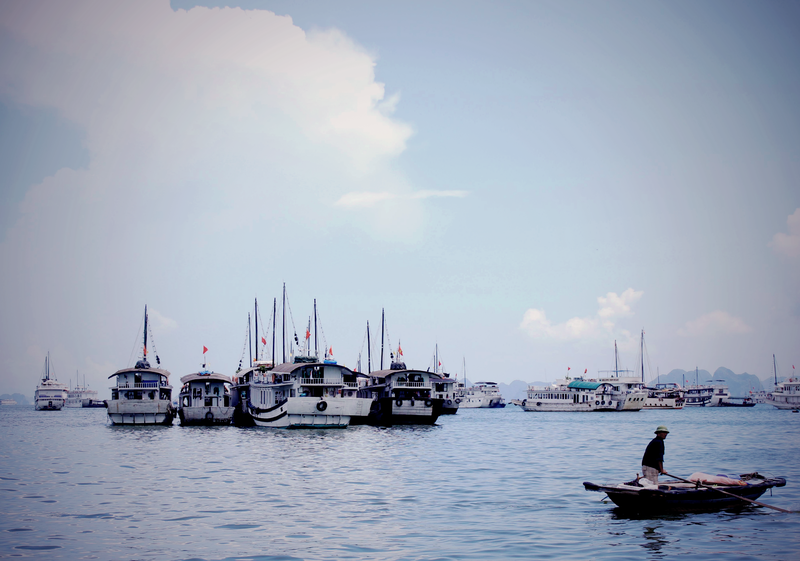 Complete Guide to Cruising Halong Bay. The motivation to go and see Halong Bay wasn’t food, but the movie Indochine. If you haven’t seen it – who are you?? – please go and see it now, so you can understand where I’m coming from. For me it was never a question of to go or not to go, but how. A little tricky, because the options range from a fishing coracle to a luxury cruise where everybody gets bathed in champagne and a puppy to take home. And it was a lot more difficult if you are an internet addict like me, because damn Google will actually give you multiple answers when you ask Which is the best junk with the least crowed route in Halong Bay and the best food on board? Other than that I was on my own with Google and the options of puppies versus row, row, row your own boat. 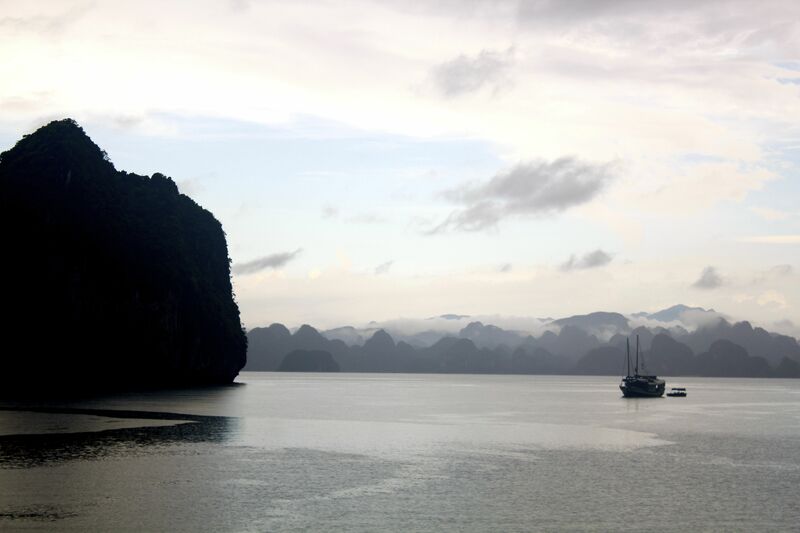 In the end I did not one, but two Halong Bay cruises and probably got the best of all worlds. I had a day cruise included with the Vietnam tour I was doing, which was probably more ‘touristy’ (though I really dislike this word actually), but nevertheless lots of fun as we ended up drinking beer & doing yoga on deck and reenacted lots of Titanic scenes. Titanic, by they way, is not a good reference to mention when you are on a junk at night after a huge storm surrounded by eery icebergs cliffs. We didn’t sleep on the junk during that trip, but spent the night on Cat Ba Island which can also be reached via regular ferry if you want to save the costs of a junk and still the bay. Otherwise I recommend you skip the island all together, because except for the sunsets and some cute goats on the road I found it highly overrated. But the trip itself was fun and confirmed that I wanted to go again, sleep on a junk, and find some more secluded corners if possible. I decided, after such intense research it would warrant a thesis paper on junk cruises, on Indochina Junk as they offer two night trips to Bai Tu Long Bay, which is little further out, with only few companies going there which means it is less crowded. In fact, I only saw one other junk once when I was showering, complained about the intrusion, and the next morning it was promptly gone. I also wanted to take this particular trip as they offer dinner in a cave, which admittedly is a bit of a Bachelor fantasy that I never knew I had until I read about it. And then I was set on it – I needed to have dinner in a cave! Turns out I also needed to sleep in a mahogany decked room with the best aircon Vietnam had on offer and be fed 12-course meals twice a day (okay, in the cave we only got 6, but there was a birthday cake and carved vegetable animals and the poor waiters had to carry it all up there, so I didn’t mind). 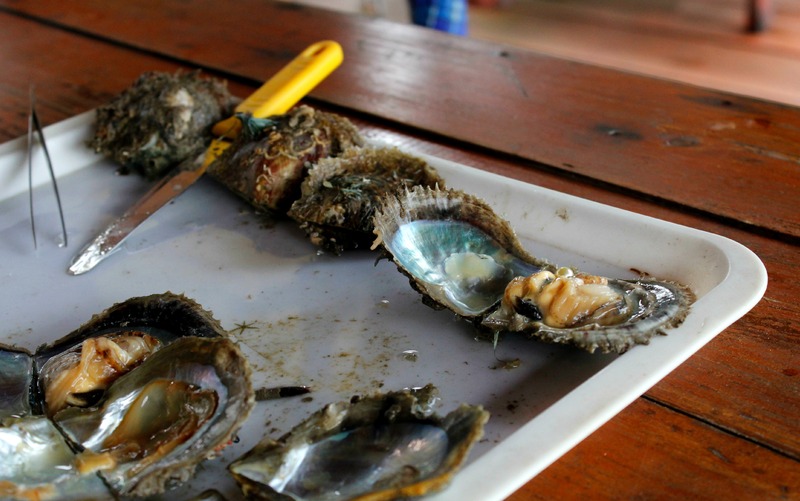 The tour did also include the usual kayak trips to see a floating village and more caves up close, swimming amongst jelly fish, a trip to a pearl farm, 2 typhoons, and a bar that was aptly called Mini Bar as it was quite tiny (but well stocked!). All in all everything I could have asked. More importantly I was quite literally in the middle of nowhere. Looking out of my window from bed, looking up at the stars at night on deck I was wonderfully alone. I was getting the same glimpse of the descending dragon that I had only gotten through the movies before, of a world a little lost, caught somewhere in time; ancient, beautiful, and quiet. *This post was not sponsored by Google. Though it would be awesome if they did. 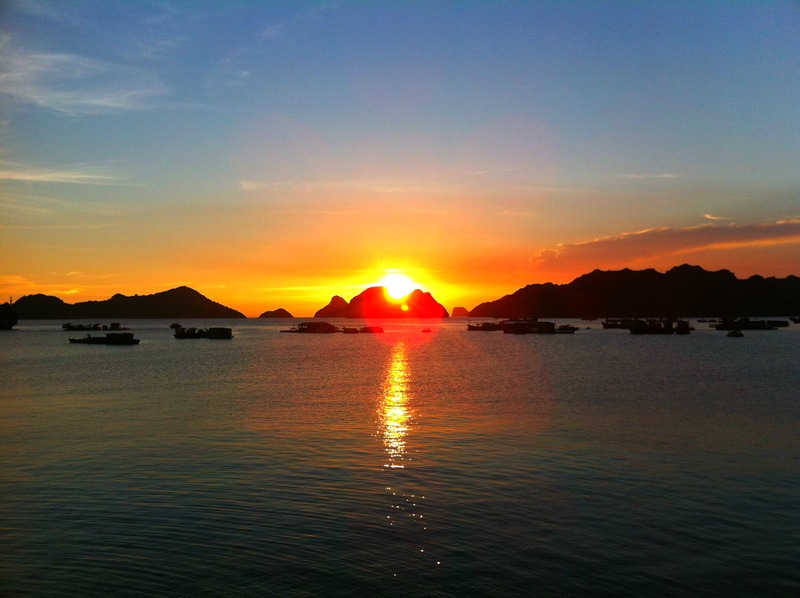 Read more on how to choose the best Halong Bay Cruise. Woah! I am impressed. 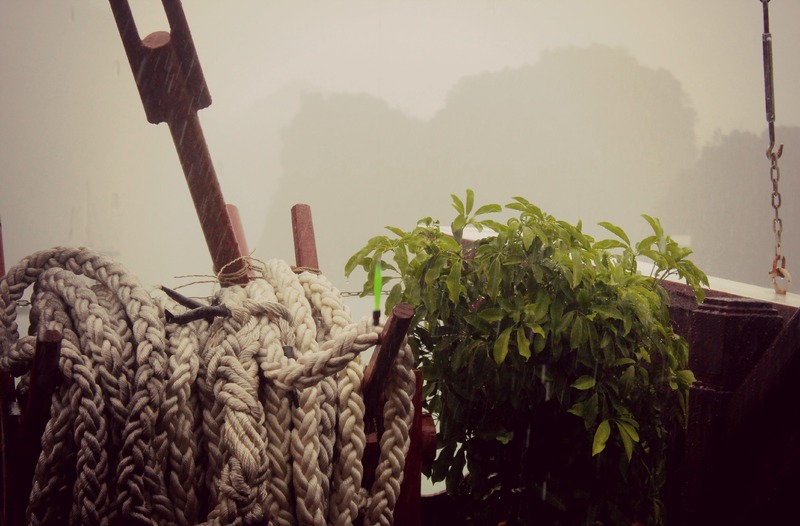 Halong Bay looks like a pirate secret spot… Why are flights from Europe to Asia so damn expensive?? ?